The Next Oil Rush presents this information for the use of readers in their decision to engage with this product. Please be aware that this is a very high risk product. We stress that this article should only be used as one part of this decision making process. You need to fully inform yourself of all factors and information relating to this product before engaging with it. For the last five years, one junior ASX listed oil and gas explorer has been working side-by-side with the Papua New Guinea government, who has just passed new game-changing legislation in oil and gas exploration. As a result, the PNG government has granted the company first access to unconventional exploration licenses in one of the most hotly sought after oil and gas areas of the world. 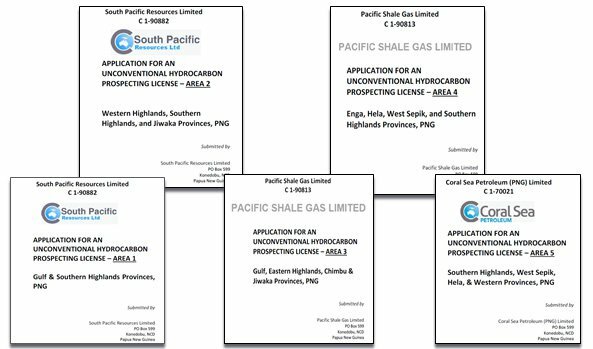 This company has just been awarded five licences to begin unconventional hydrocarbon exploration in PNG, essentially covering the entire country . This means it can now explore in areas where other companies are already producing from conventional oil and gas fields, and where significant exploration is currently underway with the view to proving up sufficient reserves for a second LNG project in the country. That’s right, this $4M capped company has 75,000 km 2 of unconventional exploration licenses that overlay all of the largest discoveries in the PNG oil and gas sector, including the fields that comprise Exxon’s PNG LNG project, and InterOil’s Elk-Antelope discovery. 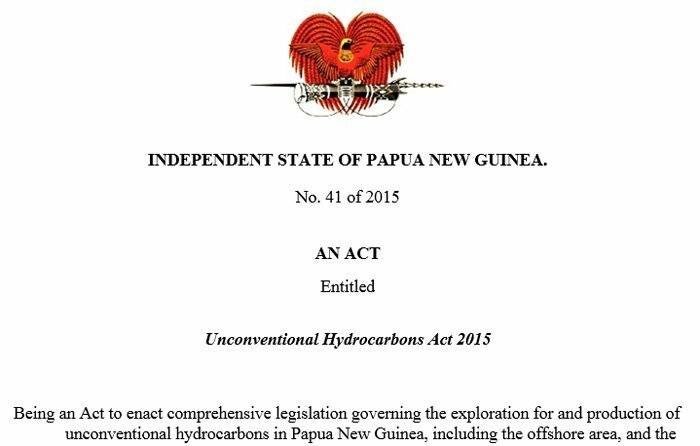 New legislation just passed in PNG has opened up the country to allow for exploration for oil and gas from unconventional sources such as shale and coal seam gas. Previous laws only allowed for exploration for oil and gas in conventional reservoirs – resulting in potentially large amounts of reserves being left untouched. Before we go too far, it should be noted that SPB is a very high risk stock. Getting energy projects up and running in countries such as PNG is no simple feat for political and social reasons, and there may be challenges ahead. This company’s relationship with the PNG government and the past work done in relation to unconventional hydrocarbons in PNG has enabled it to be first on the scene as the country gets set to open up. This company’s exploration permits sit right over the top of the existing operations of oil giants Exxon, Total, and Oil Search, all of whom have had major success from their conventional oil and gas operations. Also on the scene is InterOil who made one of the biggest oil and gas discoveries in the last decade – the Elk-Antelope gas resource. 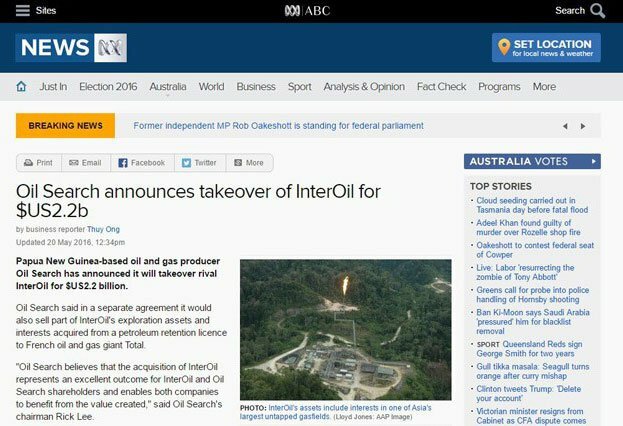 Oil Search has recently announced a takeover of InterOil, in a US$2.2 billion transaction, and a subsequent sale of part of their Elk-Antelope assets to Total in which is likely to be the largest ever transaction undertaken in PNG – unless US supermajor Exxon top the bid . The company is looking to conduct early drilling within the five areas mapped above to shore up its resources, and also enter into joint venture deals that bring about a commercial resource ready for early production. However note that at this stage, the company is currently operating with almost zero cash in the bank, and will need to attract capital to progress with its exploration. What’s more, assuming all goes well over the coming years, with existing pipelines and other infrastructure already in place from nearby conventional oil and gas fields, this company could come in and piggy back off that already existing infrastructure. 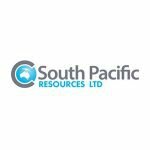 South Pacific Resources (ASX:SPB) is a tiny oil and gas explorer focusing on unconventional assets that have just opened up thanks to recent ground breaking legislation passed in PNG – a process that has been five years in the making. Despite its near zero cash balance and little interest in the stock due to a lack of news over the last few years, the recent news surrounding the $4M capped SPB suggests things are unlikely to keep quiet for much longer. Thanks largely to their ongoing work with the PNG government, SPB was at the front of the queue to immediately apply for the new hydrocarbon licenses which became available once the government passed the Unconventional Hydrocarbons Act 2015 , and which looks like a potential game changer for the country and its economy. Receiving approval for five unconventional exploration licences in this oil and gas hot spot, SPB plans to conduct further exploration work in the area with a view to prove up any unconventional resources, once some capital is raised. It could also potentially partner with much larger players, or given the extensive area its exploration licenses covers, perhaps be taken over at a market premium. Of course it is still early days for SPB and to do any of the above will take time and work, so take this into consideration when analysing this stock for your portfolio and seek professional financial advice for further information. Under the previous legislation, the Oil and Gas Act 1998 , companies were unable to explore in PNG for oil and gas contained in unconventional reservoirs such as coal and shale. With the recently passed legislation, however, shale and coal seam drilling are now in play and can even take place over an existing area proven to have conventional oil and gas resources, without impacting on other licensees. The PNG Unconventional Hydrocarbons Act paves the way for SPB to start its exploration. In summary, resources previously inaccessible due to the old Oil and Gas Act are now up for grabs under the new legislation. SPB just so happens to be first in, best dressed with regards to accessing these resources. It is a major win for such a small company. The strong working relationship, developed over many years between the PNG government and SPB, has allowed the oil and gas explorer to pounce on this opportunity. The licenses were chosen specifically for their geological formations and results from a previous study conducted by Neftex Petroleum Consultants, recently acquired by Landmark Solutions, a Halliburton business line and the leading technology solutions provider of data and analytics, science, software, and services for the exploration and production industry. A large area of the Foreland where a number of stranded unconventional oil and gas fields presently sit. The licenses SPB hold sit in the same region as proven conventional oil and gas fields held by the likes of Exxon, Total, Oil Search and Horizon. Current analysis shows great potential for big unconventional finds in the source rocks located near these producing fields. With these licenses SPB will now be able to drill in proximity to these fields, searching for the deeper shale source rocks. PNG gas is highly sought-after by major energy players like Exxon and Oil Search who have been actively searching for additional reserves to shore up both existing and new projects for some time. As mentioned above, Oil Search presently has a US$2.2 billion transaction on the table to buy out InterOil, whose major asset is their interest in the Elk / Antelope gas discovery, one of the largest gas discoveries in the Asia Pacific in the past 20 years and the size of which is subject to some conjecture by the opposing parties. Woodside also recently proposed an acquisition of Oil Search, an approach that was rejected by the Oil Search Board. With InterOil’s major find being in the same region as SPB’s unconventional licenses, whilst it is early days here, it begs the question – what is a fair value for the exploration licenses that SPB has secured? Could SPB be one day targeted for a takeover by major oil and gas players? Also, by having the pipeline infrastructure in place nearby from the conventionally producing wells, SPB could rapidly move from exploration into production. Remember, though, that this is an early stage play in a high-risk region and an appropriate level of caution should be applied to any investment decision you make with regard to this stock. PNG is already a highly ranked oil and gas producer, with the PNG LNG Project being constructed ahead of time and under budget. 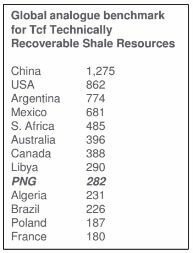 As the thickness of shales in PNG are significantly larger than producing United States shale basins, the studies undertaken to date rank PNG potentially in the top 10 for recoverable unconventional hydrocarbons. PNG therefore has the opportunity to be a major energy player in future. With Asia on the way up and their energy demands booming, PNG is also well-positioned geographically to be a major supply hub for the region. There are even reports that the country is looking into building its own Natural Gas Reserve. Whatever the PNG government decides to do in future, SPB is likely to be the first to know of any changes, enabling the company to jump onto any opportunities that may arise, increasing the potential reward of their oil and gas play. While there has been conventional oil and gas production in PNG for 25 years, the source rocks for that oil and gas has never been located. 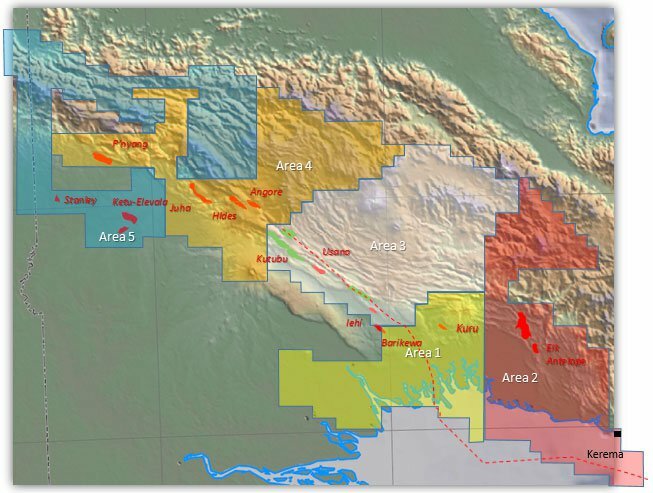 Analysis conducted by world leading consultants Neftex, now Landmark Software (a division of Halliburton), who also consult for British Petroleum (BP), indicates that there is a large unconventional resource throughout PNG, and concluded that for every 1 Tcf of conventional gas there is likely to be roughly 3 Tcf of unconventional gas within its proximity. Access to this unconventional potential is now in SPB hands, thanks to this new legislation. Should the source rocks that have been supplying the reservoirs currently tapped into by conventional means be discovered in the licenses held by SPB, joint venture and take-over bids could come flying-in. Is oil on the rise? 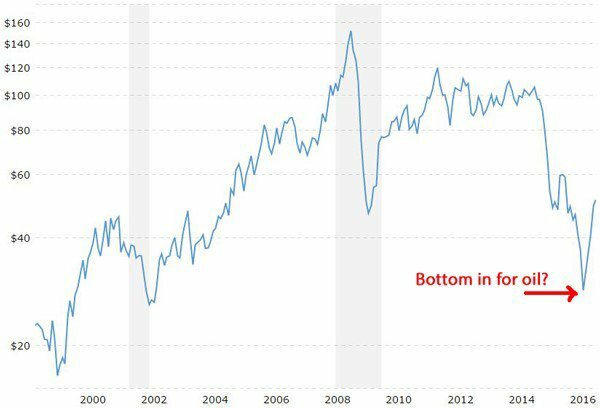 Looking at the chart below, the price of oil is still fluctuating but looks to be headed back up and at the time of writing was sitting at US$48 a barrel. On a macro level, tensions in the Middle East and South China Sea offer a catalyst to potentially send this commodity soaring again to the US$80-100 range. It could possibly go even higher with major eastern oil producing nations like Saudi Arabia and Iran having a breakdown in relationship with not only each other but also the western world . Could you imagine if either country decided to shut the west out? By the time SPB advances its exploration pursuits, the price of oil may be well higher than what it is today, meaning SPB shareholders could stand to benefit long-term. However trying to predict the price of oil is a difficult exercise at the best of times and nobody has a crystal ball, so don’t use these only oil price predictions as a basis for investment. For an understanding of how big this play could be, it might be a good time to briefly explain how unconventional drilling could change the game, especially for those new to investing in oil and gas. 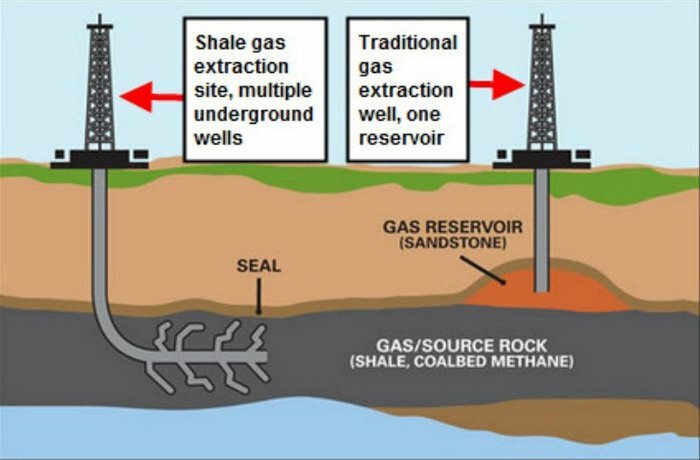 Conventional oil and gas production refers to drilling into oil or gas bearing reservoirs. 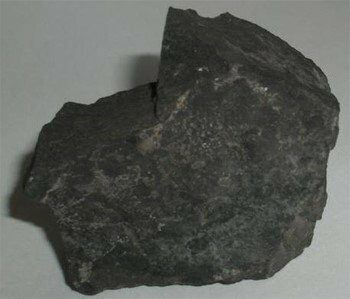 Historically, the reservoirs are saturated with oil and gas deposits that have migrated to the reservoirs from source rocks that are located elsewhere. Once the Unconventional Hydrocarbons Act was implemented SPB, with its strong government ties, was given first access to the newly released hydrocarbon licenses. From that SPB was able to choose the locations which it felt offer the biggest potential, which not coincidentally sit near to known major conventional resources. The licenses literally overlay all of the largest discoveries in the PNG oil and gas sector, including the fields that comprise Exxon’s PNG LNG project, and InterOil’s Elk-Antelope discovery. This hints that the size of the possible reserves held by SPB in any one of these 5 licenses could be a game changer for the company and its investors. With big energy giants throwing multi-billion dollar takeover offers around, it is clear that PNG represents a strong opportunity in the oil and gas space. With unconventional hydrocarbons being new to PNG this new segment is completely untapped and waiting to be discovered. SPB can now drill deeper, underneath already proven reserves and identify the unconventional hydrocarbons. Over the past five years, SPB has done everything it possibly can to limit its risks through building very close ties with the PNG government. Remember however, that there is always some caution with operating in PNG and SPB will likely need to raise capital before progressing its exploration – so seek professional advice if considering an investment. Has SPB now turned the corner in PNG?